Being an avid music listener I developed a penchant for exploring what is popularly known as world music. It was a refreshing new break to step away from the usual choice of music and indulge in something completely new. It has been a fascinating journey so far; especially because of the chance encounters I have had with so many brilliant musicians from all around the globe. The most recent and undoubtedly one of my favourite discoveries of late is the music of Hindi Zahra. Franco-Moroccan composer, musician and singer Hindi Zahra was born in 1979 in Khouribga, Morocco to a Moroccan mother and a French father. Her songs are mostly in English but some lyrics are in her native Berber language. Though one could flexibly categorize her under “World Music,” Zahra fuses musical cultures freely to create her own sounds, a harmonious and delicate interweaving of her own cultural influences with blues, jazz, gypsy and folk. Her songs speak of stories, of lived experiences, of love and all this is done in a very simplistic yet classy way. She left school at age 15 and moved to Paris to live with her father, a former army member. At age 18 she wrote her first lyrics and melodies. Hindi Zahra is a self-taught multi-instrumentalist and has been influenced by the African music, Egyptian music, traditional Berber music and also the local rock’n’roll of her musician uncles. Other early influences were blues and the folk sounds, and the female voices of the '30s and '40s and the 50’s (Billie Holiday, Edith Piaf, Ella Fitzgerald being some of them). By 2005 she had written about 50 songs of which “Beautiful Tango”,” Oursoul” (a song that sensitively explores the theme of forced marriage–a cultural, not Islamic, tradition still practiced in the region), “Try”, and “Stand Up” were first released on the EP Hindi Zahra in 2009 and eleven songs were recorded in her first album which was released in January 2010 at the Jazz label Blue Note Records. 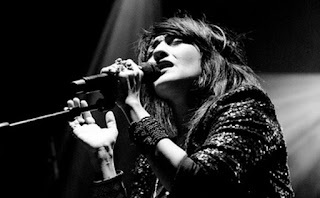 In November 2010 Hindi Zahra won the “Prix Constantin” award for Best Album. In February 2011 she won the “Victoires de la Musique” award for the best World music album. Hidden away from the limelight of mainstream media, Hindi Zahra has developed a music that is authentic, soulful, sensual, and intense. Rendered in her soothing and mesmerising voice it almost seems to make one feel as if one were lost somewhere or floating with the wind. This is music for the soul and an artist not worth missing out on. Visit Hindi Zahra's official website and YouTube channel for more information and to relish some of her amazing music.